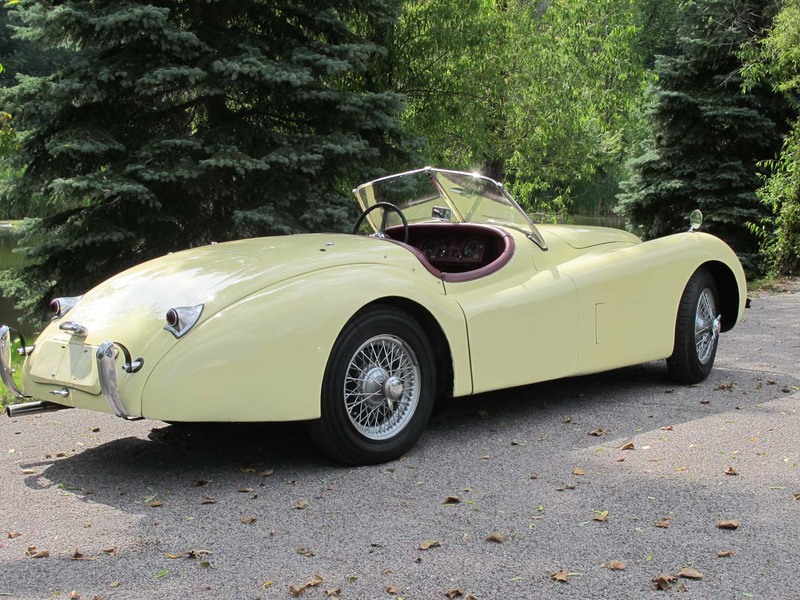 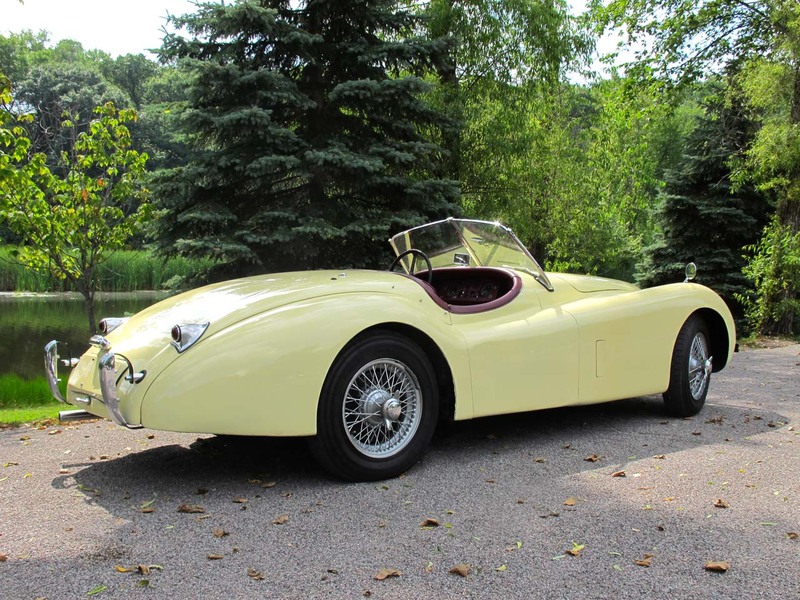 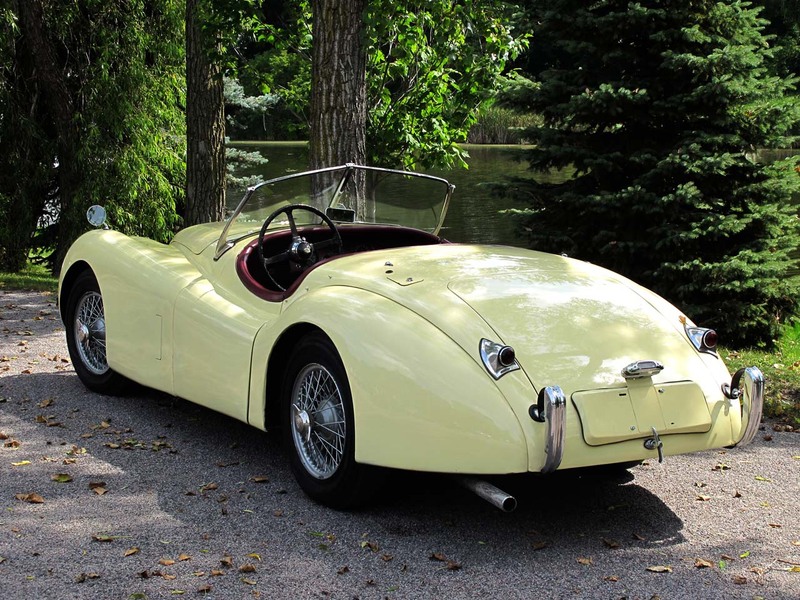 The 1954 XK120 Roadster available here was in storage from 1998 until November 2012. 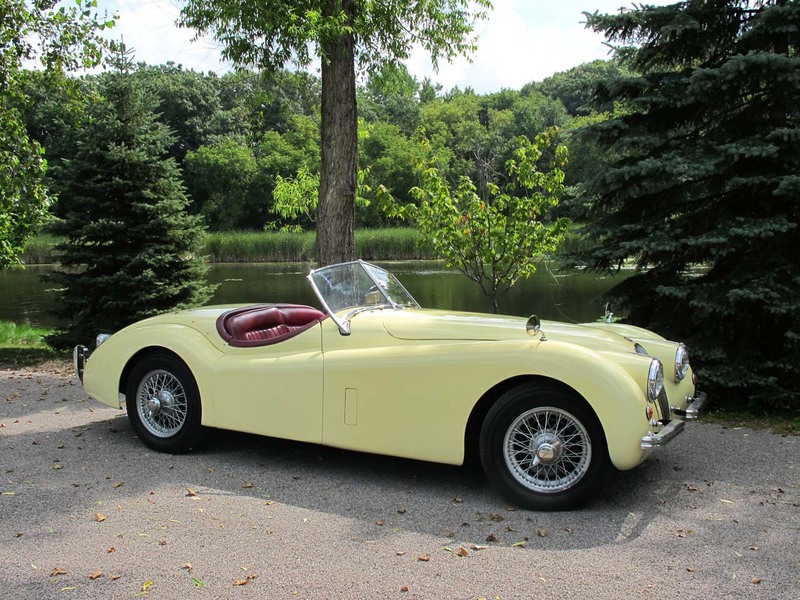 It was owned and enjoyed by the same couple for over 30 years before the husband passed in 1998. 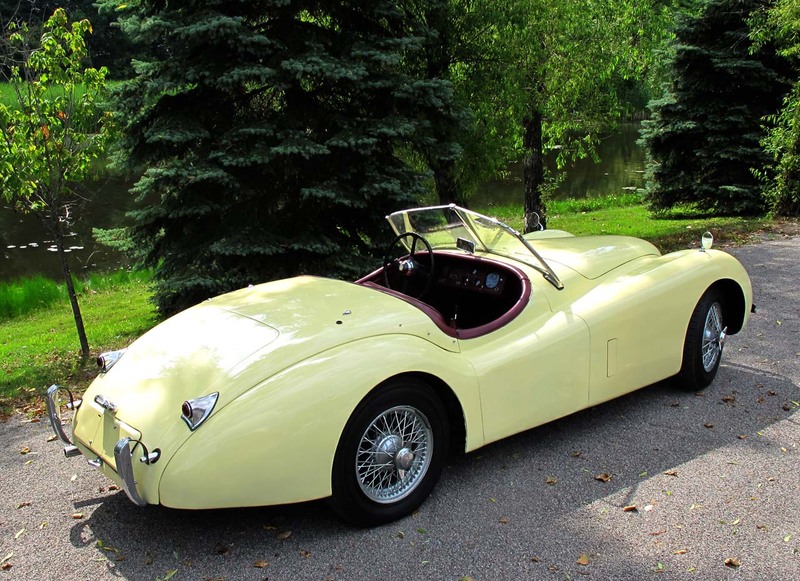 Unable to part with her husband’s favorite car, it was left in a garage behind the house on blocks until last year. 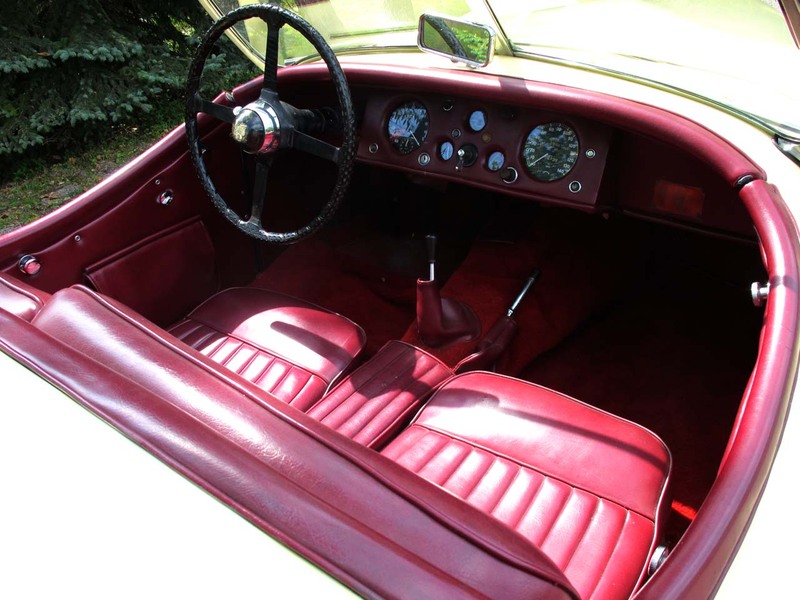 When rescued, it was complete with the factory Primrose finish and the stock Burgundy interior. 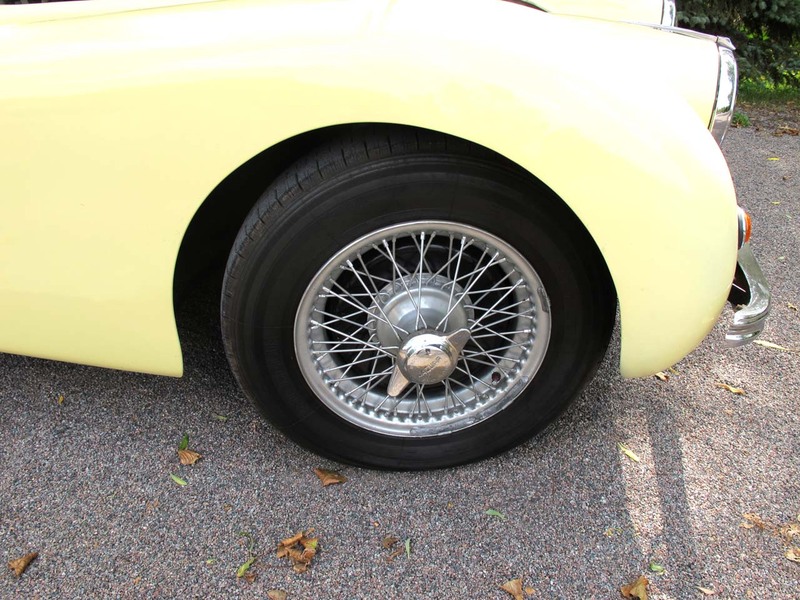 The original chrome wire wheels are clean and true, and even the period Michelin X tires remain on the car. 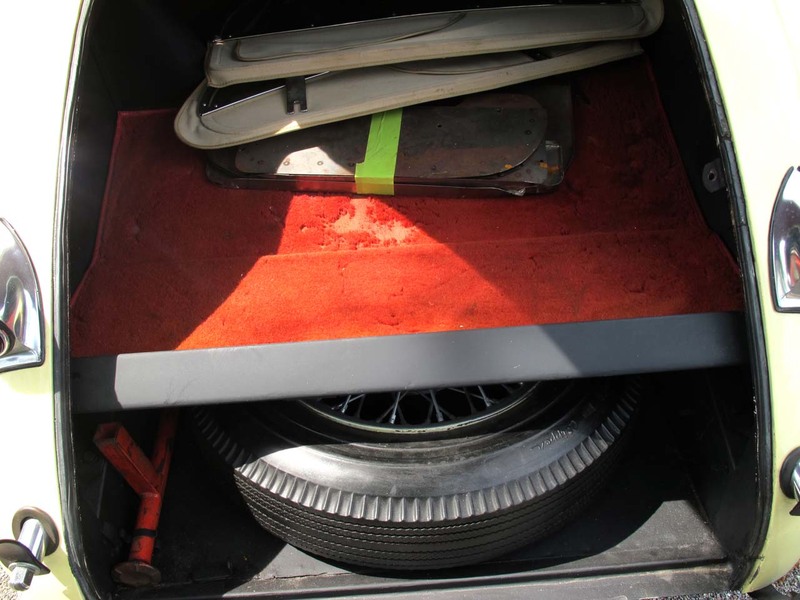 The current caretaker undertook a sympathetic freshening of the car, careful to preserve as much originality as possible. 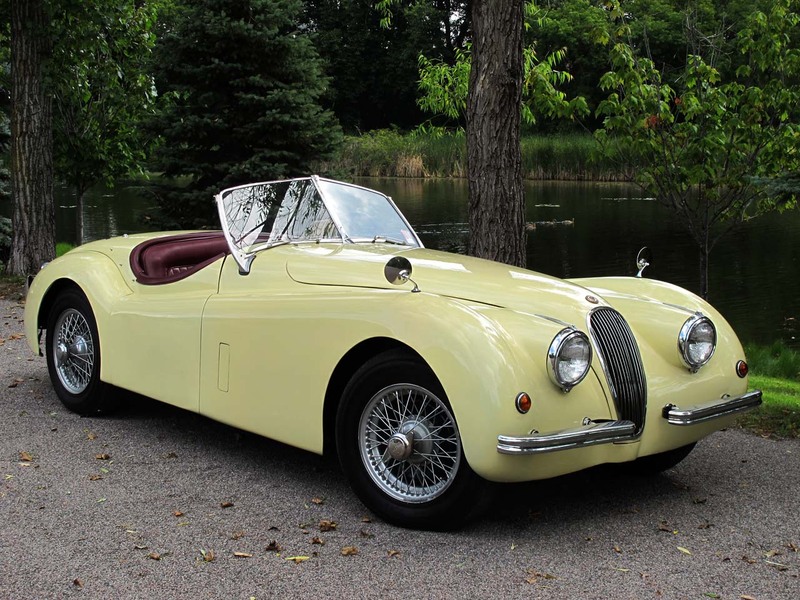 The mechanicals were cleaned and lubricated, all fluids replaced, and the owner reports that with new gas, the Jaguar fired up readily. 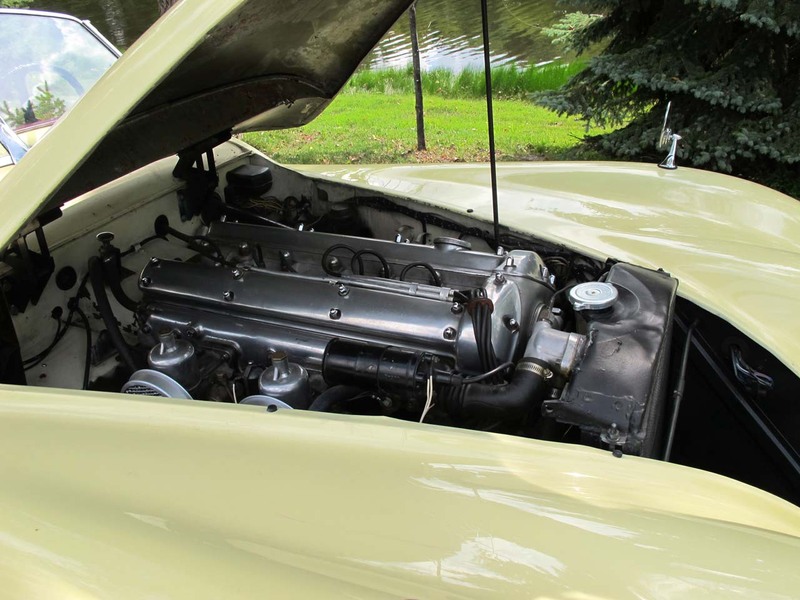 It stays cool, shows 45 pounds of oil pressure, runs without smoke and is incredibly sound. 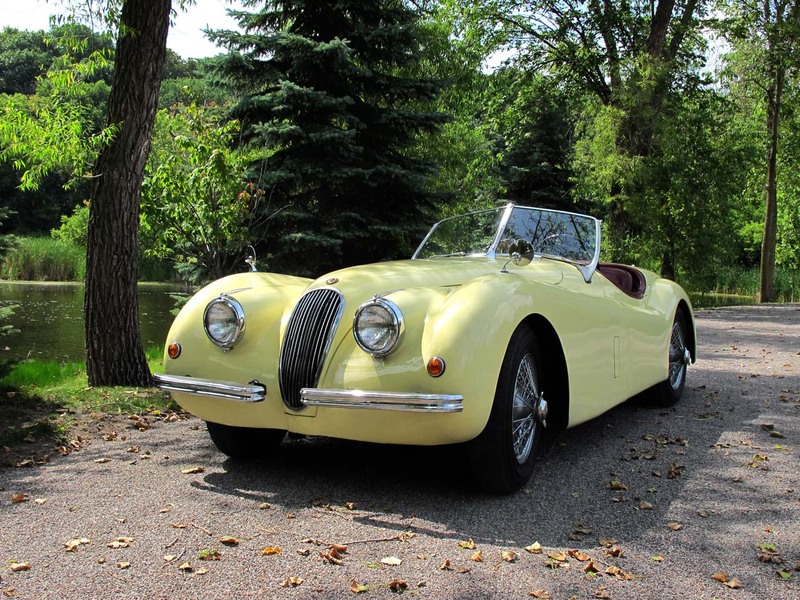 The car shows just over 86,000 miles on the odometer, which according to the widow is correct, but we do not have documentation to verify. 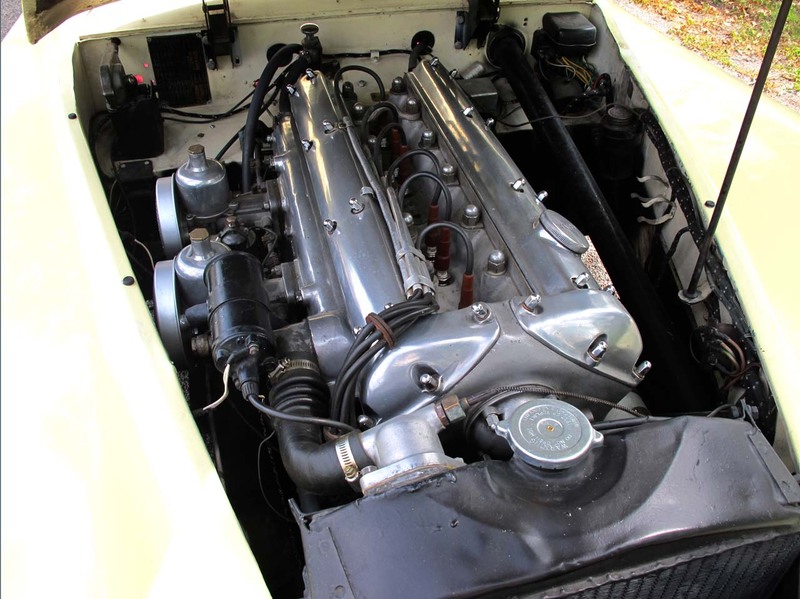 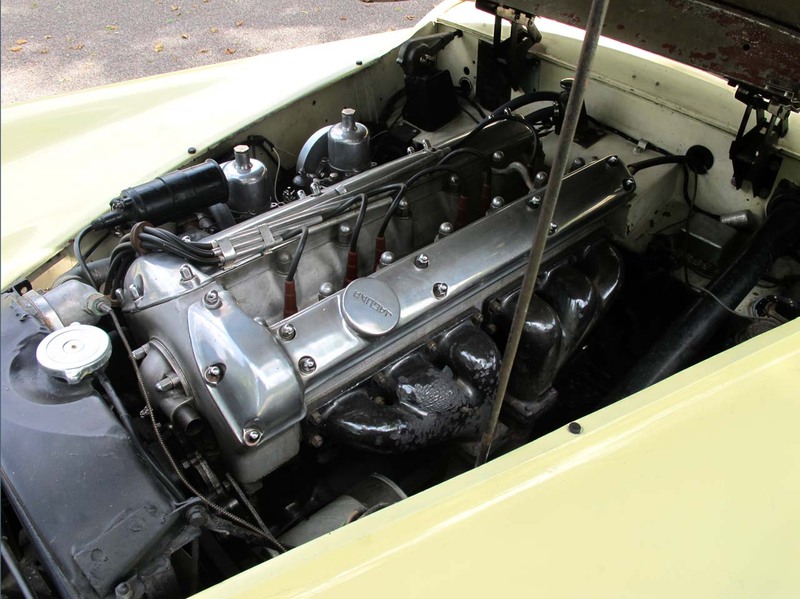 The overall condition, however, leads us to believe that this could easily be correct, and after a thorough detailing, the engine bay looks fantastic. 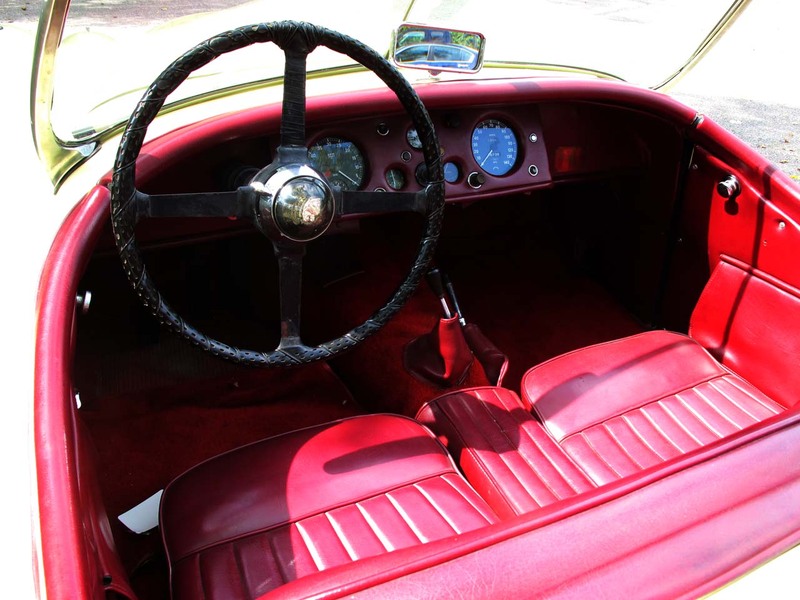 After careful cleaning, the body and paintwork exhibit fine patina, with significant paint checking throughout but good adhesion, and a remarkable shine considering the long storage. 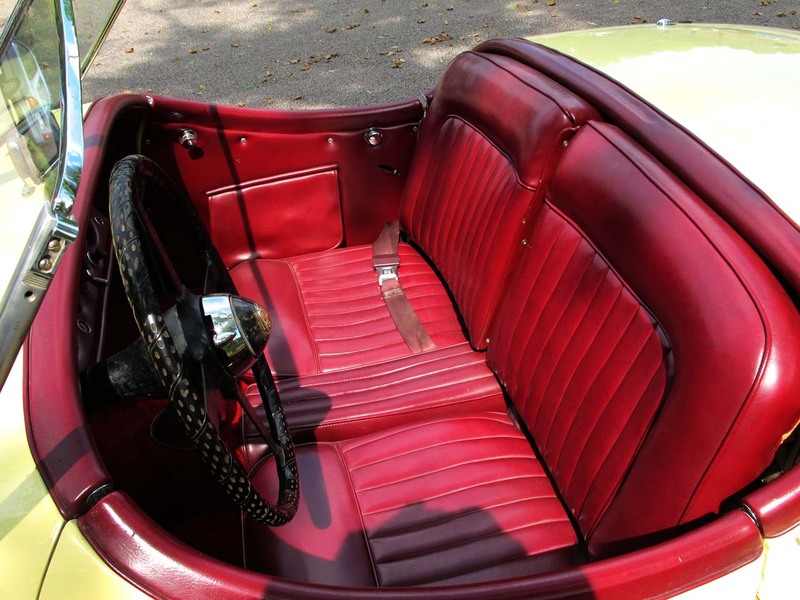 The original top and side curtains are in good condition and obviously authentic, and the condition of the seats and interior are nothing short of excellent. 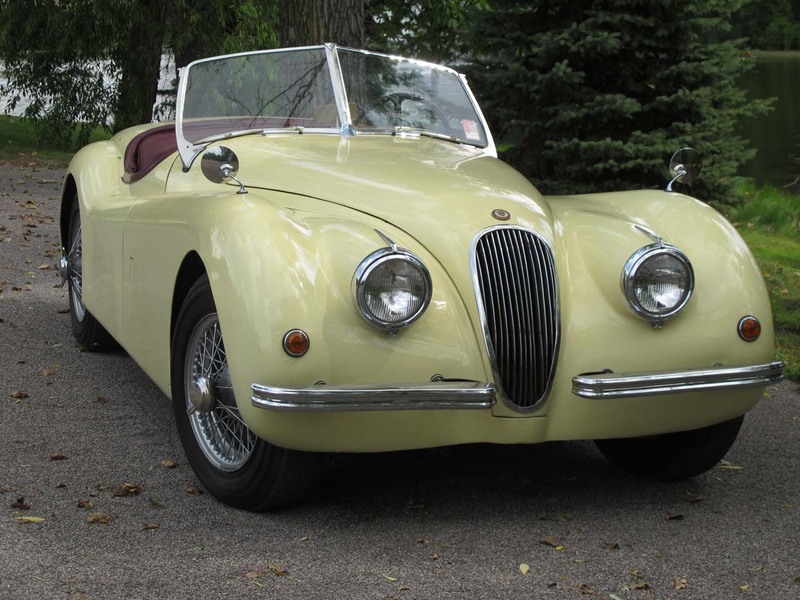 The aluminum brightwork and interior trim are un-pitted and very nice, with a small crack in the original windscreen being the only noticeable flaw. 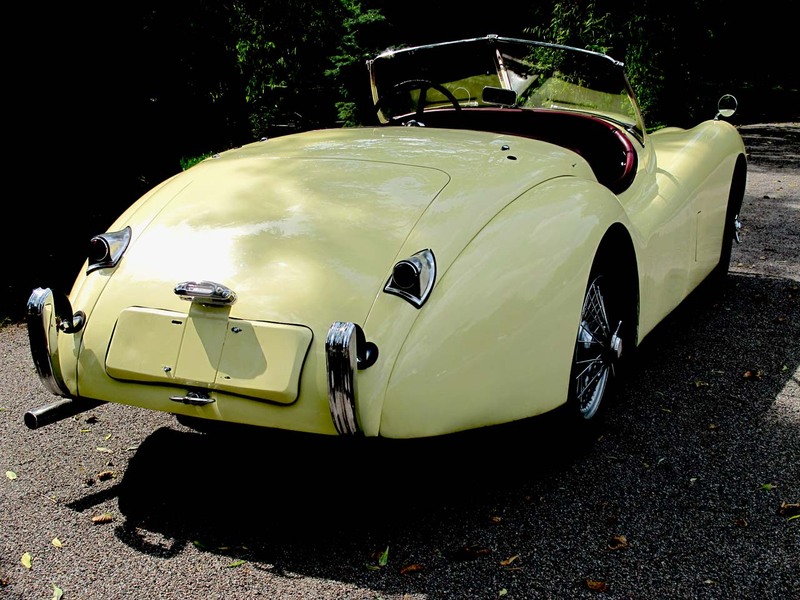 Mechanically sound and in remarkably original condition, the lovely Roadster can be reliably enjoyed with no further investment, and will be recognized for the amazing patina it displays at any JCNA event. 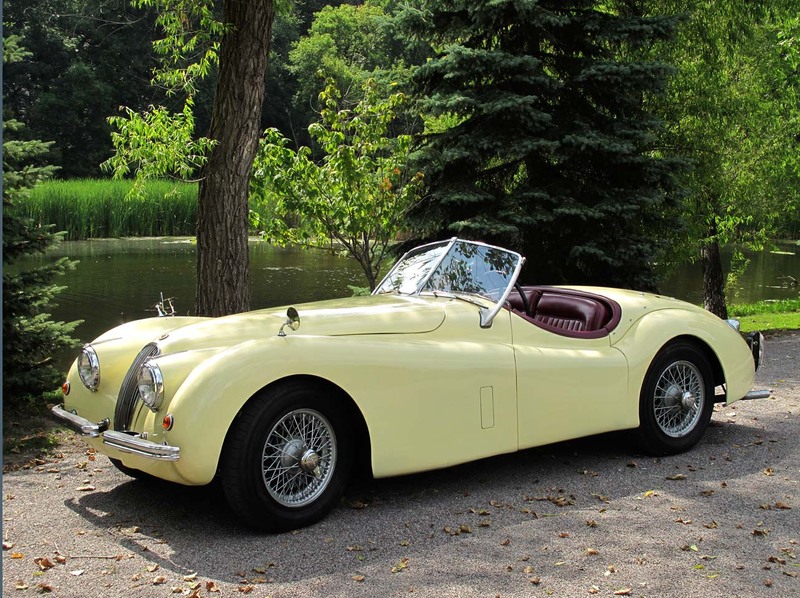 Consider the benefits of owning a highly original example from the last year of production of one of Jaguar’s greatest achievements, the legendary XK120 Roadster.